There is an immense amount of equipment, models, brands, and capabilities. Everyone will say they have cutting-edge technology, unbeatable prices, the best in the market or simply be the best option, but it is important to mention that suppliers are not the ones who define which is the most optimal – it is you, according to your needs, expectations and economic capabilities. What are the benefits of Leasing Printing Equipment? The leasing payments for printers and copiers are 100% tax deductible. You do not need to invest a considerable amount in a printer, therefore you do not affect your capital. The payment for the printer is on a monthly basis, although at the end of everything, the equipment is not yours, but this also benefits you, since you avoid being lumbered with obsolete equipment, given that printer technology advances rapidly and the equipment devalues ​​very quickly. Therefore, leasing the latest printing technology at the end of each contract is ideal. You do not need to concern yourself with maintenance activities or repairs. Normally, the supplier has all the responsibility for maintenance and servicing. They will ensure you have the optimal equipment for your operative demands in terms of printing requirements. You do not need to spend on consumables, or waste time buying them or requesting them. Your service provider should not only schedule the supply of toner, but also take care that you have a stock ready to use, so you will never run out and you will not have to stop operations. Fixed payment: (a monthly amount for having the equipment in your facilities) + processing (they will set a cost for printing, copying and scanning). At the end of the month they will make a count of the printing processed and they will tell you how much your bill is. Lease package: you will be charged a monthly amount, which includes the rental of the equipment + a number of prints, copies and scans (included) + technical service included + a cost schedule in case it exceeds the impressions included in the package. 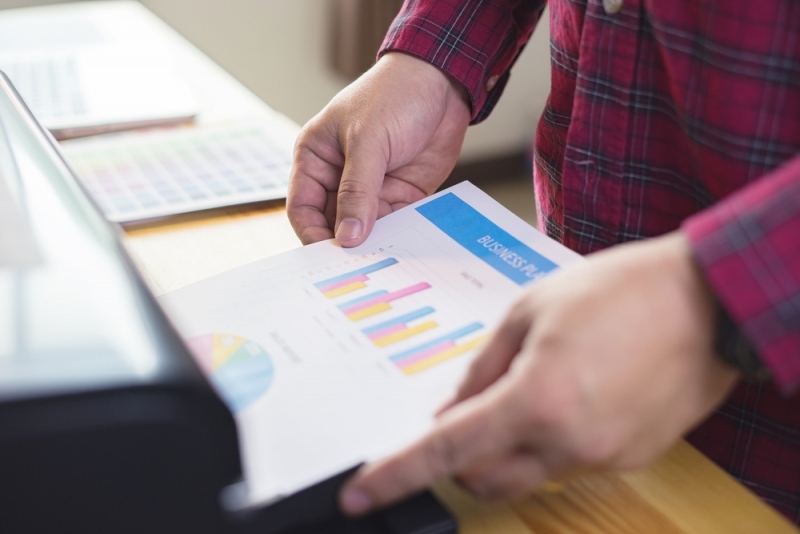 It is common for many suppliers to claim to be the best when it comes to leasing, but beware of any company offering to install anything other than a brand-new printer. Using older models makes the leasing package cheaper for them, but the thing about it is that the device might fail frequently, you might also experience problems updating it with your PC’s software; you want to acquire a printing solution, not a problem, for your requirements of copying, printing and scanning documents. Verify that the technical service is really optimal, and that your contract clearly stipulates acceptable response times. But that is not the most important thing; it should also state the time in which they will solve any equipment problems, and what happens if they do not comply. Will the printer be replaced? Will there be compensation for lack of service? A high-quality printer leasing solution will give you the package, flexibility, service and attention you need and deserve, not simply what the supplier would like to offer.